Super easy, crunchy and healthy peanut butter granola with cinnamon. It makes a healthy and tasty breakfast paired with fresh fruit, yogurt or milk. 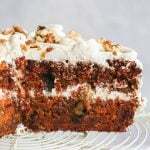 Made with 5 ingredients, in just 30 minutes! I don’t know why I never made my own granola at home, I always just bought packaged store-bought granola and loved it. Until I started reading the ingredients! I found out that most brands add lots of unnecessary ingredients and nasties to our food, and we don’t even notice as we never really read labels. So last year I started making this unbelievable spiced vegan granola, and I got hooked! 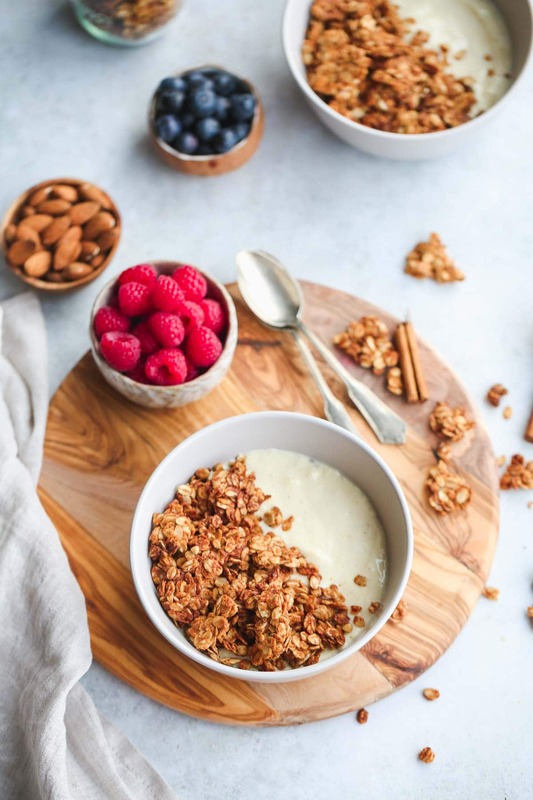 I now make granola all the time, it’s one of my favourite make-ahead breakfasts that’s so easy to make and it’s sooo much better than store-bought granola! And my obsession with nut butters continues! I love all kinds of nut butter and peanut butter is a childhood favourite that will stay with me forever. I mean, who doesn’t love peanut butter? What do you prefer – creamy or chunky? I love both! Now, what if I tell you that you can have a peanut butter breakfast that is so easy and quick to prepare? I love these stainless steel measuring cups and use them every time I cook or bake, as well as those measuring spoons. Granola is made in just 30 minutes start to finish. If you think that homemade granola is difficult to make, think again! If you make it once, you’ll keep making it over and over again! In a medium saucepan over medium heat, slightly melt the peanut butter along with maple syrup. Add ground cinnamon and salt flakes, and mix everything together. Add the old fashioned oats, and mix until the oats are well coated. Press the mixture onto a greased cookie sheet, and bake at 160c (320f) for 20-15 minutes flipping halfway through. 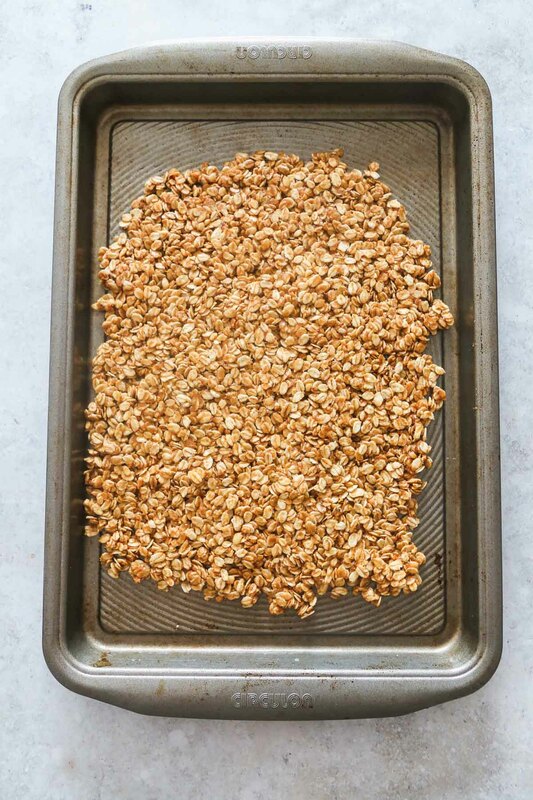 To know if the granola is done, take a piece out of the oven and let it cool. If it hardens within a couple of minutes then it’s ready, if not then bake for a few minutes longer until crispy at room temperature. And that’s it! Easy! Right? Now let’s talk about these beautiful and big crunchy clusters of sweet and salty goodness. These clusters are divine! They hold shape so well because of the peanut butter and the maple syrup that work together like glue, if you don’t get enough clusters then that means that you need to add more maple syrup. Once the granola is baked, using your hands break the granola down into clusters and let it cool down. Store in a jar and enjoy! Although quick oats work to make granola clusters, I highly recommend that you use rolled/old fashioned oats for better results. You can either use creamy or chunky peanut butter, but check if it’s salted or not. If it’s salted then don’t use the sea salt flakes. 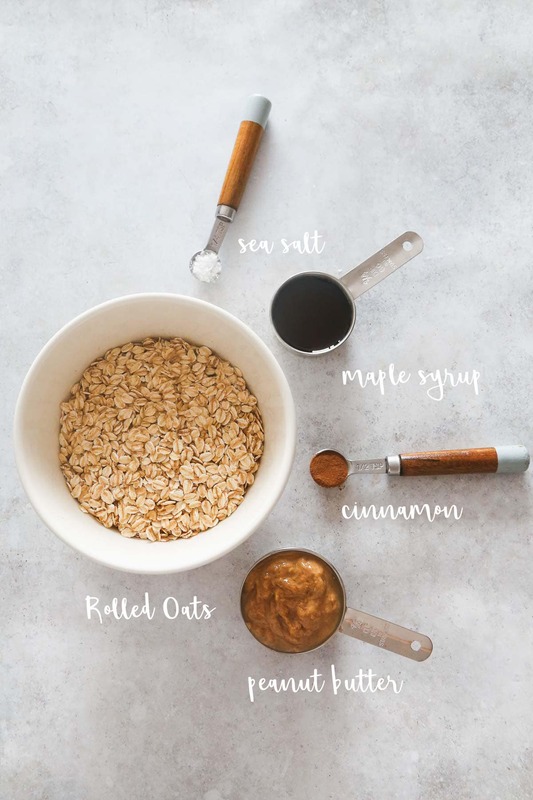 If you follow a gluten-free diet, then make sure that your oats are certified gluten-free. You can add any sweetener that you like. Maple syrup, honey, agave syrup, golden syrup, all of these work well. 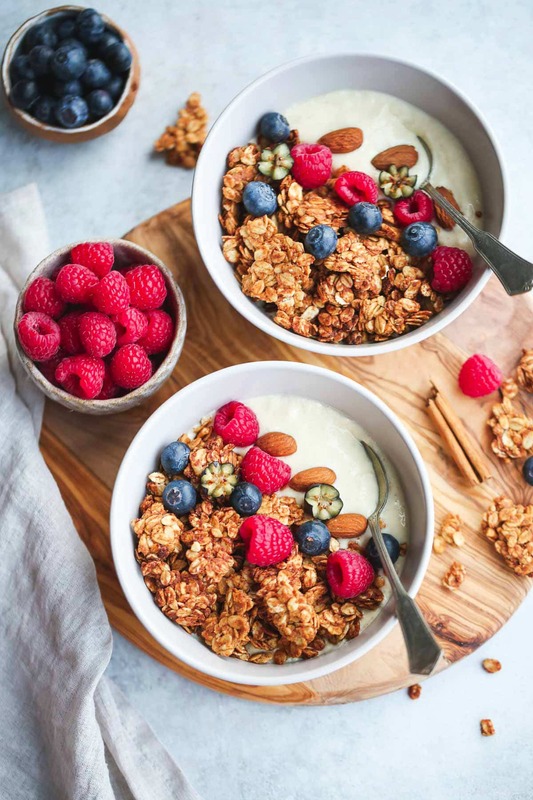 Bake at low temperature (160c/320f), as baking the granola at low temperature will ensure that your granola is being baked slowly resulting in crunchy granola that isn’t burnt. If your granola feels a bit too soft on the next day, just pop it back on a baking tray and bake on low temperature for a few minutes. You need the granola to dry and make sure that you get rid of any moisture left. 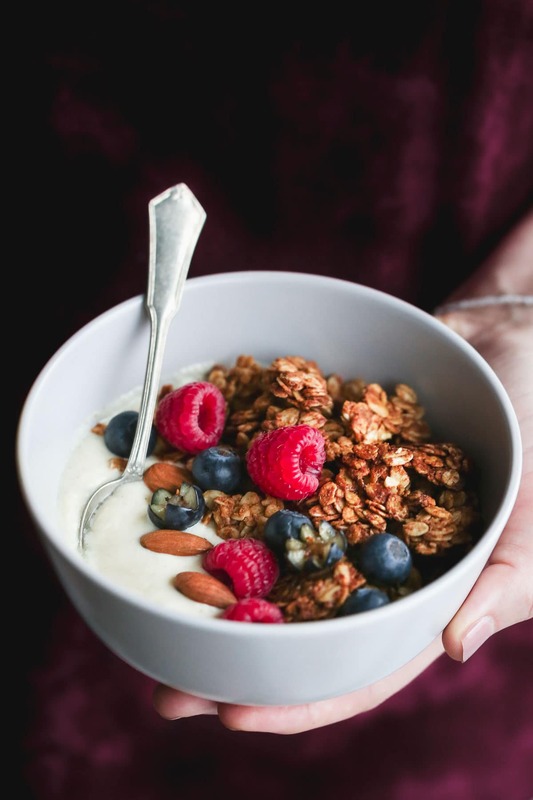 My favourite way is to have granola as a topping on yogurt in a bowl with fresh fruit and nuts. Serve the granola with milk. 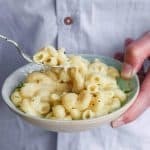 It goes to well with either dairy or plant milk. Enjoy it as a snack! HOW TO STORE THIS PEANUT BUTTER GRANOLA? I recommend that you store your homemade granola is a sealed glass jar at room temperature. HOW LONG DOES HOMEMADE GRANOLA LAST? I’d say about a month. Although ours never lasts that long as we eat it quickly even when I make a big batch, if your granola is perfectly baked into crunchy and dry clusters then it can be safely stored for up to 4 weeks. 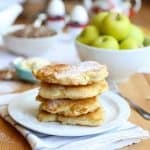 For more delicious breakfast recipes, visit my breakfast category page. 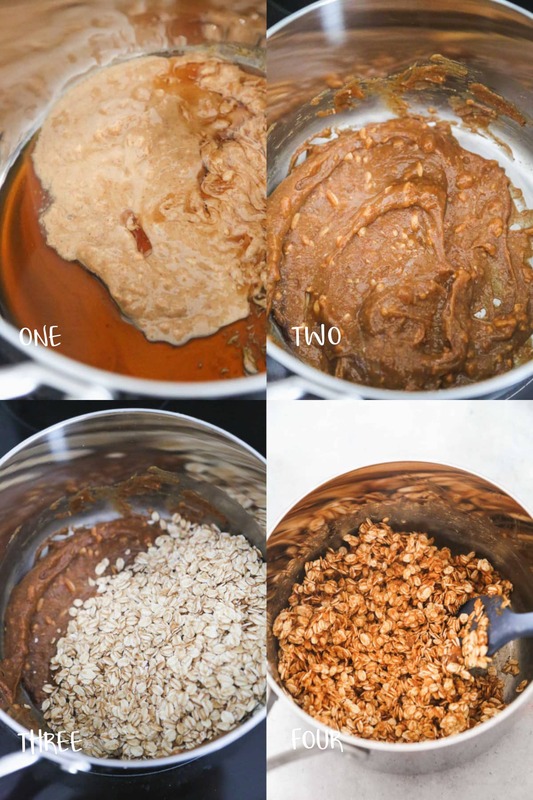 Super easy and healthy peanut butter granola with cinnamon. It makes a healthy breakfast when paired with fresh fruit, yogurt or milk. Made with just 5 ingredients, in 30 minutes! In a medium saucepan over medium heat, slightly melt the peanut butter with maple syrup. 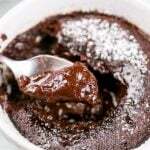 Press the mixture onto a greased cookie sheet, and bake at 160c (320f) for 20-15 minutes flipping halfway through. To know if the granola is done, take a piece out of the oven and let it cool. If it hardens within a few minutes then it's ready, if not then bake for a few minutes longer. Store in sealed jars at room temperature for up to 4 weeks. Do you find yourself eating less healthily during cold winter/spring months? According to recent research by E.ON Energy, more than three quarters (77%) of Brits put off outdoor activities and errands during bad weather days. And nearly a fifth (19%) say that miserable weather causes them to eat less healthily. Also, more than half of the nation (55%) say that they want to incorporate exercise into their home routine. Work out at home! I start my day with 15 minutes of yoga, but you can choose any other exercise that you enjoy. Eat wholesome food. Incorporate lots of fresh vegetables, leafy greens, fresh fruit, nuts and seeds in your diet. Take your vitamin D supplements. Listen to upbeat music! It works every single time! For more tips to re-energise, visit E.ON’s website. Do you have any more tips to share with me? Let me know your tips that you use to stay refreshed during the cold weather and you could win yourself Abel & Cole gift voucher worth £150! The lovely team at E.ON are offering one lucky LSK reader the chance to win a Abel & Cole gift voucher worth £150! For your chance to win the competition, please enter via the rafflecopter form below. For more chances to win, you can tweet about this giveaway, comment on my posts, or share my recipes each day. The giveaway is open to UK entrants only and runs until 28/3/2018 12am. Entrants must be 18+. Let me know what are your tips for an energy refresh in the comments below to enter the giveaway (make sure that you enter using the rafflecopter form, your comment is at least 10 words long that includes YOUR tips otherwise your entry won’t count). E.ON sent me a gift voucher from Abel & Cole to compensate me for my time. all views are my own. A brisk walk with the dog and a healthy breakfast. Start the day with cinnamon porridge with blueberries and pecan nuts with strawberries and blackberries on the side. A half hour brisk walk then a cup of tea. Im a great fan of yoga as a way to energise and refresh myself. I like the sound of your penut butter granola but as I need to eat gluten free its not an option for me. 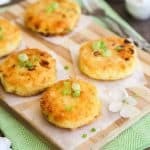 I’d love to see more recipes for gluten free vegetarians. My cold day energy refresh tip is also suitable for hot days, for cold days a warm shower with mint infused body scrub/shower gel for hot days a cold shower with mint infused body scrub/shower gel. A long walk in the forest..lol. Get up early, for fresh air and gentle exercise, eg a walk to work. A Brisk walk with the dog and eat more veg! My tip for an energy refresh during cold winter day is to wrap up warm and then get outdoors for a nice brisk walk in the country. I like to get up early to make the most of the day and go somewhere I haven’t been before, walking around a town and looking at the buildings, stopping somewhere nice for a hot drink and a snack! The granola looks delicious. I enjoy porridge topped with some slices of banana, some walnut halves & a few raisins. Has to be getting outside for fresh air no matter the weather! Its important to get outside, wrap up well, depending on the weather but its very invigorating. I make an oatmilk & banana smoothie every morning as it helps me feel enrgised when I wake up and I take my dog for lots of walks. She’s always eager & excited when it’s time for walkies so even if it’s cold, she’s all the motivation I need. There’s nothing quite like a good run in the park with the pooch to get you feeling energised. A hot honey and lemon always perks me up! Walk the dogs in my local woodland, or if the weather is bad a nice cup of ginger tea indoors. I eat lots of salad and fruit, it makes me feel much healthier although I still struggle with my sugar intake! A nice walk by the sea always wakes me up when I’m feeling sluggish! My energy refresh I do though the year, but it does certainly help in winter. I drink FRESH squeezed lemon juice daily. In the morning it wakes you up and makes you feel more refreshed.And I think that my skin looks a lot better and radiant. And its a good way of getting most of your daily vitamin C which helps you especially during the winter months. I love making overnight oats and while they are cold I still find them so filling and satisfying in winter. I use cinnamon in the winter to give it that warming feel. I’m disabled and haven’t found an energy refresh yet! I’ll be reading all these tips, though. Here’s hoping! Lots of homemade warm meals always does the trick for me during the cold months. I aim to get my five A day EVERY day. Healthy eating is key. 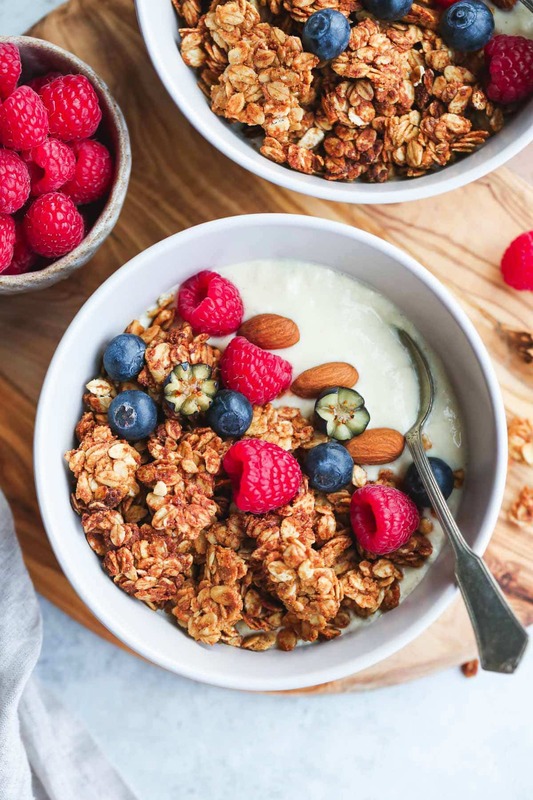 My tips would be to have a fuelling healthy breakfast – such as toast, granola and fruit, something that will give you lots of energy to face the day! I also would advise to do exercise during the day, such as some walking, or perhaps yoga to keep the body moving. I love to get outdoors with my camera. Looking for that shot of the day keeps me motivated to get out there. Eat plenty of fruit, it’s healthy and tastes like summer. Keeping hydrated and eating plenty of green vegetables seems to help – the more spinach and kale the better! taking my little girl out for a walk in her pram, fresh air always does the world of good. Getting outside for some fresh air usually helps me to increase my energy, and also making the effort to meet up with friends, It’s also important to get enough sleep! I love a good winter salad, raw red cabbage, grated carrots, roasted peppers along with some brown rice or quinoa and dressing. Delicious and a real energy boost! I eat lots of fruit and veg, especially root veg. I also make sure I get outdoors as much as possible. I cannot recommend enough smoothies made with half raw kale, apples and bananas. Give you such a zing! A bowl of porridge topped with blueberries gives gives me a good start to the day. Exercise and healthy eating is a must during the winter months to keep you refreshed. Eat plenty of veg, drink lots of water, moisturise constantly and get outside even when the weather is bad! A fresh fruit salad always perks me up and makes me feel good. Granola with berries for breakie and hot soup at lunchtime with beans/lentils/protein in. Always start my day with porridge and a banana. then a nice early morning walk with my dog. Exercising is very important, i tend to start feeling lethargic if i miss a few days. Also have an SAD light, seems to help somewhat with my energy levels. Health eating is so important during the winter months. I make a Mediterranean Veg stew at least once a week and keep plenty of seasonal fruit in. For me, it’s mostly about remembering to drink more water. If it feels too cold for that, hot water with fresh mint in it is a good pick me up. A good dnergy refresh is a blast of cold fresh air on a walk, followed by a big mug of tea. I always have lots of fresh fruit each day and lots of water. Me & my boy wrap up warm and go for a nice walk around the park. I used to have such a poor diet and would really notice its effect on my body in the winter months as I would always be ill with something! Since I have started putting some time aside on the weekend to batch cook food, I have noticed such a difference in how I feel and am ill less often. 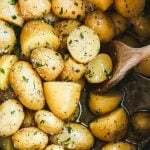 I love to use up all the manky veg I would usually throw away by roasting them in herbs and spices and then having them with couscous, rice or even as a pie or tart topping! Forward planning and eating the right foods has had such an impact on not only my body but my wallet too! The best way to re-energise on a Winter’s day, I’ve found, is a short yoga morning practice. 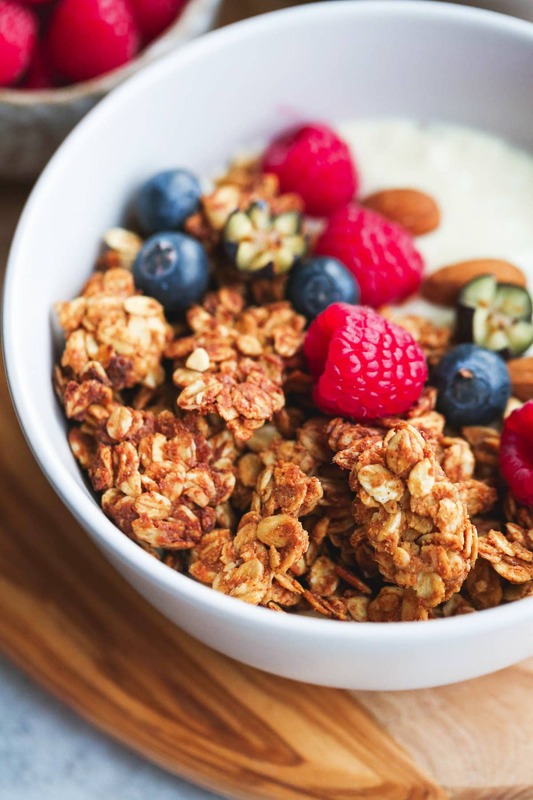 It sets you up for the day… The granola looks and sounds amazing! I make lots of homemade soups in the cold weather and eat lots of fruit. A bowl full of hot porridge, woolly hat on and a brisk walk. Then for the ultimate treat, followed by a hot bath! I love naps during the winter, the perfect time to get all snuggly and warm. I also like nuts, especially peanut butter for energy! Wrap up warm and get outside as it gives you energy. I always find a floral herbal tea perks me up when I need a lift. But if I need an extra boost I’ll eat them some bran flakes with bio-yoghurt and fresh fruit. Perfection. I try and get outdoors for a few minutes before breakfast – a favourite is a quick sprint by bike to post any mail. Returning to the warmth and a healthy breakfast sets you up with more energy for the day ahead. I make smoothies for all the family with lots of fresh fruit and vegetables in them. I love going for a long walk whatever the weather to really invigorate me! I’m definitely going to try this. Such a healthy treat ! Plenty of fruit mixed with yogurt in a nice smoothy is delicious and healthy! In the morning, eat a healthy breakfast with a cup hot water with a slice of fresh lemon which wakes me up and refreshes me ready for the day ahead. BTW, I love your peanut granola recipe, I’ve only just discovered that I love peanut butter (and I am approaching 40 lol). I love granola. I’m going to try your recipe. My tip for energy during the winter is definitely peanut butter in any form. For an energy refresh on a cold day I make a large amount of soup. I like to include any vegetables I have and also canned beans or chickpeas, whatever kind I have, also a lot of paprika! On a cold day, I always have a dish of porridge oats with sultanas, dried apricots or similar and find this sustains me for hours and gives me plenty of energy too. At the moment my favourite breakfast is a chopped banana and a few crushed brazil nuts in natural yogurt. Sometimes i drizzle a little honey on if i need a sweet kick. I love the recipes! Absolutely delicious and so easy to follow! Thank you ! Love to look of this granola! Thermoses of tea are ideal for keeping warm on cold winter days. For an energy refresh on cold winter days, I like to make a fresh vegetable broth with the veggies in my Abel and Cole box. This seems a perfect way to wake up when it’s cold outside! I’d love to have this with some warm milk in the morning. My energy refresh tips are going for an early morning walk, it sets me up for a whole day. And eating lots of Fruit. I find a brisk walk does wonders, no matter how the weather looks from the inside! If it’s cold out even better. The one thing I miss about the warmer months is it’s too much to go barefoot on the lawn most days, ten minutes of that are an instant energiser! It’s not particularly healthy but I get lots of energy from a strong coffee every few hours! My tip to reenergise during the cold winter months is to go for a long walk (wrap up warm) and enjoy the fresh and cold air! 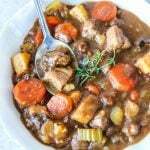 Have a healthy stew in the slow cooker for when you get home or take some fresh vegetable soup with you in a flask. It’s so easy to want to stay inside when it’s cold, but getting out and active is a great reenergiser! Eating the right food (lots of veg and pulses) really helps to boost my energy during winter. I also get regular excercise and do my best to make sure I always get a good night sleep. For an energy boost every morning I make sure I eat breakfast whether it is a couple of boiled eggs, or a bowl of porridge and then I walk the 2 miles to work no matter what the weather. It certainly boosts my day. 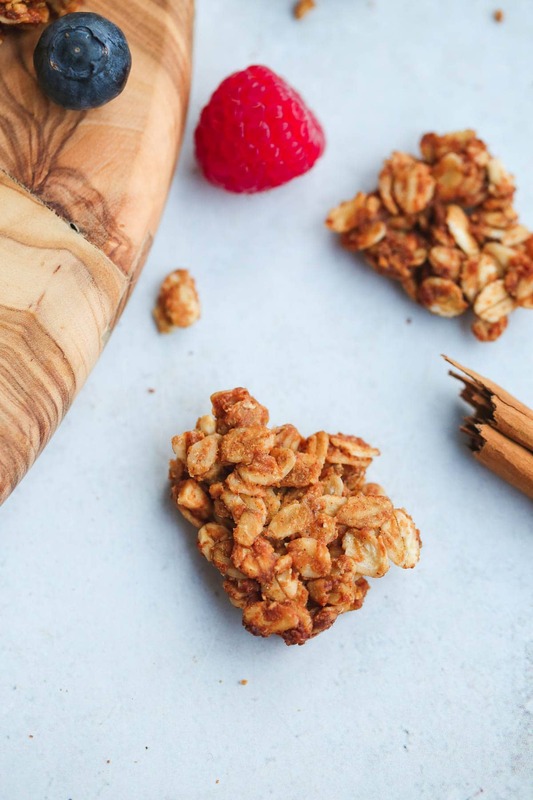 I’m definately going to try that granola though – looks delish! My tip would be opening all your windows in the morning to get fresh air in. Even 15 minutes helps. So important to get fresh air in the winter, especially when the central heating is on all day. Hear healthy hearty foods like home made soup. Keeps you healthy! A steaming bowl of brocolli and Stilton soup with crusty bread always sets me up. These look amazing and perfect for after a re energising run. To refresh during the winter, I go out for a brisk stroll. Always gets the blood pumping. My Winter refresh tips would be to keep hydrated and I like to do this with mugs of hot water with slices of fresh lemon squeezed in. It’s very refreshing but it’s also grea5 for cleansing your skin and your liver too. I find that resting and recharging gives me an energy boost. I try to make sure I’m eating enough healthy foods and getting enough rest. Get outside and do some exercise. It always gives me more energy. Peanut butter granola sounds great will have to try and make some of this soon! I love that you use peanut butter in this my son is going to flip over this thanks for posting this! Love granola and anyways your peanut butter granola pics are so enticing, I’m sold! Peanut butter granola sounds amazing! I have to try this soon! I too am a granola fan! Yogurt and big granola chunks, like these, are what get me up in the morning! 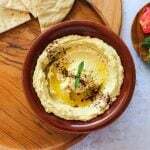 This recipe has exactly what I am looking for in a breakfast or mid day snack! These granola looks so delish and your easy explanation makes them so much doable. I am gonna try this for my family.